Deliciously gooey, chocolatey and rich, this pudding ticks all the boxes - but with none of the guilt! Perfect for an easy, healthy treat. I make my own protein Nutella to make it really healthy, but use whatever you fancy! 1) Preheat the oven to 200C, then grease a baking dish. Mix together the almond flour, cacao, coconut sugar, baking powder and bicarbonate of soda in a bowl. 2) Pour the honey and hazelnut butter into a ramekin or bowl, then heat gently in the microwave until melted and runny. Stir in the chocolate or almond milk, then mix into the almond flour bowl and stir until combined. 3) Pour the cake mix into the baking dish, then stir through half of the chopped chocolate - set the remaining chocolate aside. 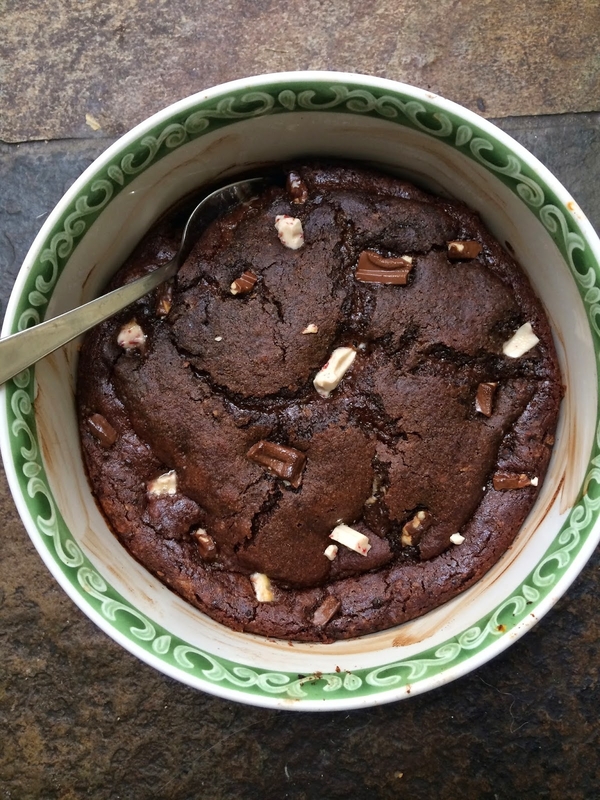 Bake in the preheated oven for 15-20 minutes or until almost cooked (you want it still molten in the centre so it's gooey), then scatter over the remaining chocolate and serve.